Grease traps are a crucial piece of plumbing apparatus for local New Jersey restaurants, institutional or corporate cafeterias, and anywhere else in Bergen County NJ where large amounts of food are prepared regularly. Commercial-scale cooking produces a shocking amount of “waste grease,” including runoff from fatty meats, used cooking grease and vegetable oil, and other sources of culinary oils and fats. If you run a restaurant, you’ll need grease traps installed, and you’ll need them working correctly. Otherwise, you could find yourself dealing with serious sewer main line problems, along with potential code violations that could jeopardize your business. At A1 Sewer & Drain, we provide commercial grease trap services for local NJ food service businesses, helping you stay up to code and keep your sewers safe. 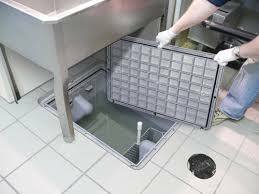 Grease trap installation is a must-have for any business serving food regularly. 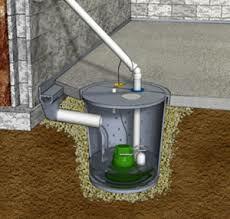 In New Jersey, commercial grease traps are regulated by legislation that specifies their size and location. They need to be installed with their own plumbing connection, and must be maintained and periodically emptied, so that the grease can be recycled. There are also regulations that dictate the appropriate size for grease trap installation, determined by two equations: one for restaurants, and another for cafeterias and other establishments that only serve food during a limited period of time. Grease trap installation is a critical part of new construction for restaurants, and you may also need to replace old grease traps if they’ve worn out. 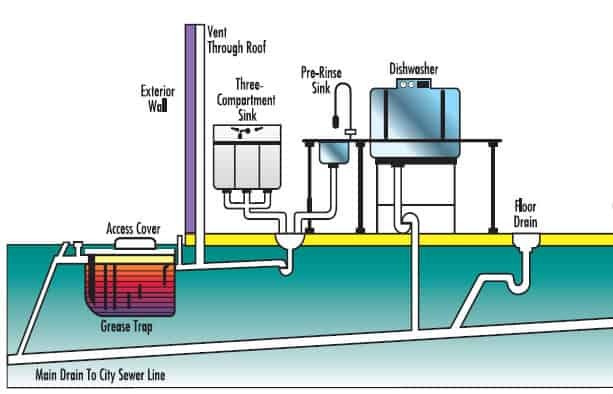 Since grease traps are part of the plumbing system, and by extension your sewers, grease trap installation is generally done by professional NJ plumbers or sewer service contractors. Grease traps need to work correctly, to prevent the risk of clogged sewer lines, employee injuries from spilled or leaking grease, and other hazards. Crossover clogs. 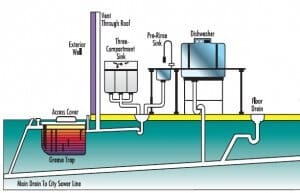 The two compartments of a grease trap are connected by a crossover line, which can become clogged up with grease and other debris. 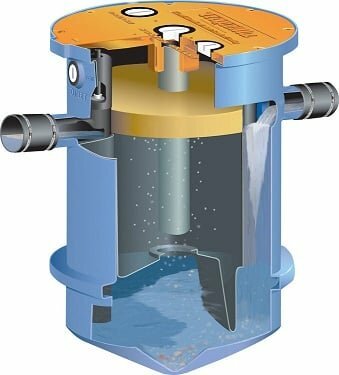 This raises the liquid level in the first compartment, potentially causing the greasy, stagnant water to overflow. Clogs in the incoming line. When the incoming line is clogged, it will generally cause the lowest plumbing fixture in the restaurant to begin backing up– often, this ends up being a floor drain. An inexplicably backed-up floor drain may be a good reason to call a professional for grease trap repair. Clogs in the outgoing line. When the outgoing line is clogged, both compartments of the grease trap will begin to overflow. Full grease trap. 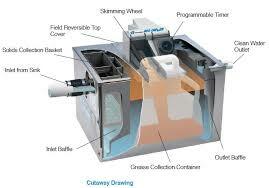 Grease traps need to be emptied on a regular basis. If you wait too long to remove the grease, it can spill over and clog the crossover line. To find out more about grease trap services in NJ, including grease trap repair, grease trap installation, and more, call us anytime at A1 Sewer and drain to talk to our experienced plumbing contractors. 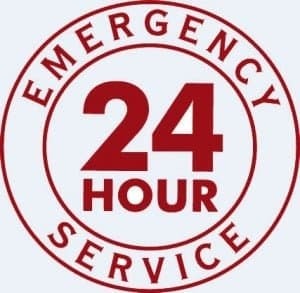 We’re available 24-7 for emergency grease trap repairs, sewer pipe repairs, and more in Bergen County NJ. Call us today at 201-645-0888.